9m Deluxe Switch Hose Kit With Hose Sock are designed for performance and durability. The switch hose allows you to turn the hose on or off from the handle without removing the hose from the outlet. 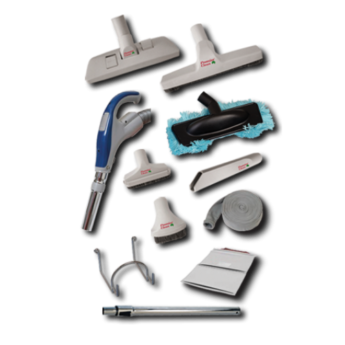 This kit includes Delago floor tools, which are exclusive to Premier Clean, to give your home the perfect clean.